men’s & women’s clothing alterations. 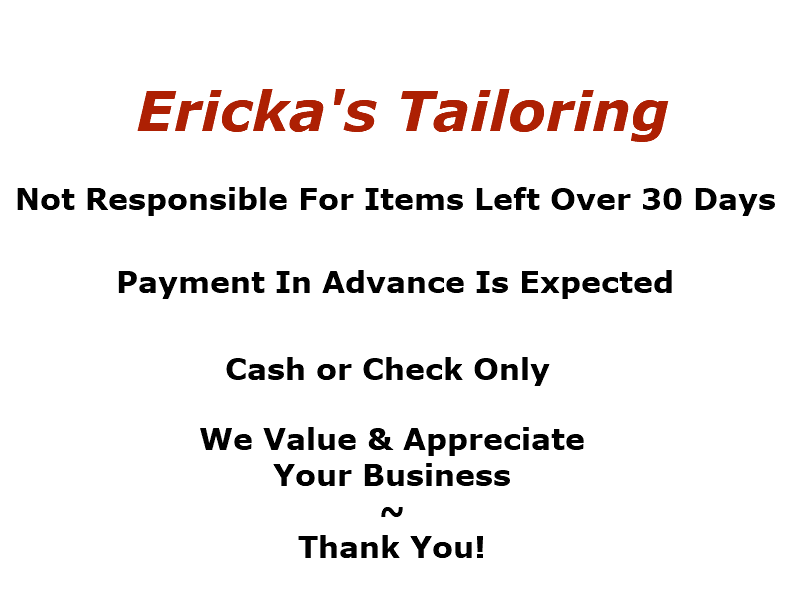 Including wedding, bridesmaid, and prom dress alterations. 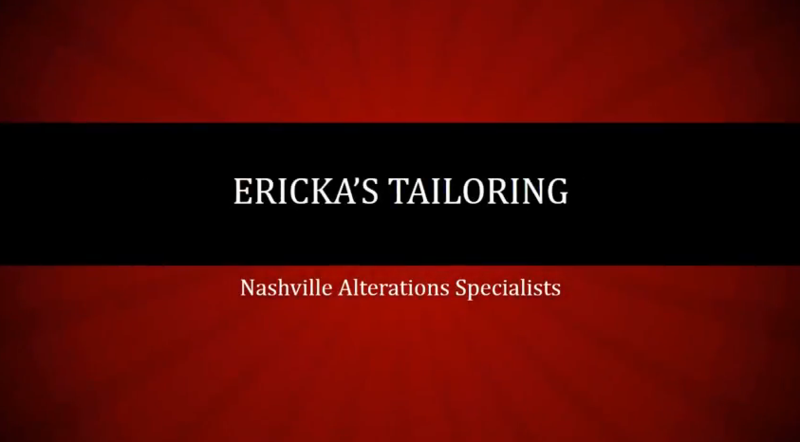 Open Monday through Friday: 9:00 a.m. – 6:00 p.m.
Open Saturday: 9:00 a.m. – 5:00 p.m.
“As a personal executive assistant it is part of my job to know the best places to go for tasks such as tailoring/alterations and Ericka’s is hands down the best Ive come across as well as the only place I go to in Nashville. It is located in a shopping center that is somewhat off-putting (curb appeal) but thats the only downfall. They are family owned, kind, understanding, and very hardworking. The price is unbeatable and the turn around time is unbelievably fast. 1) One of my clients needed his entire suit collection (around 30 suits) brought in and suspender buttons added. They were able to have them all done in 3 days.